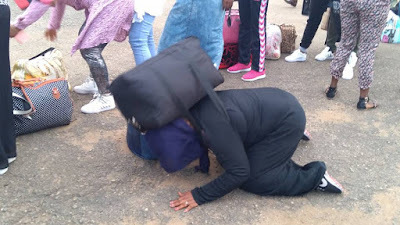 NEMA has received another batch of 121 stranded Nigerians in Libya who have been assisted by IMO after each of the Returnees have individually expressed interest to voluntarily return to Nigeria. The Zonal Coordinator of NEMA Southwest, Suleiman Yakubu who received them on behalf of FG enjoined them to learn from the unpleasant experiences in the course of their sojourn to turn to a better life henceforth. On arrival, the profiling of the Returnees indicate that there are 60 female adults and one girl while male adults are 57 with two male children and a male infant. With total as 61 females and 60 males. Amongst were 2 pregnant women and 1 medical issues. 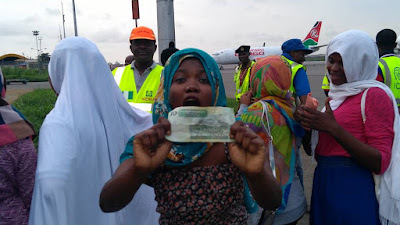 The nouvelair flight with Registration number TS-INA and SA320 arrived MMIA at 5:30 p.m.
One of the Returnee, Owoade Omolara who hails from Apomu, Osun State claimed that she spent 1 year and 2 months claimed that she worked as a cleaner in a hospital and when it was time for her to collect her salary, she was accused of stealing and taken to prison and from there IMO came to her rescue. 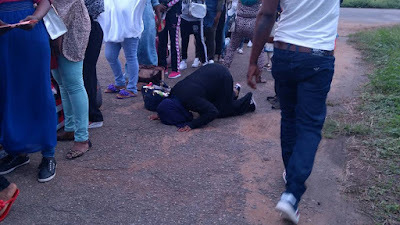 She said she 662, 000 naira before she was taken out by a trafficker (burger) and she vowed that she will get her money from Kemi who is her trafficker as she came back. She narrated that many Nigerians are suffering same fate. 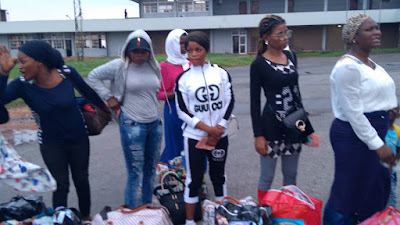 Iyabo Abiola from Oyo State lamented falling victim to the deceitful talks of the traffickers who deceived her with a promise of $4,000 a month and she vowed that she would expose the trafficker usually called burger. Agencies who were present with NEMA were Naptip, Police, Immigration and Faan..